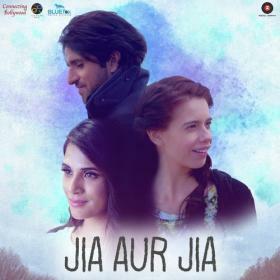 JIA AUR JIA is the story of two girls with the same name but contrasting personalities. Jia Venkatraman (Richa Chadha) is a banker who’s demure, serious and running from a troubled past. Jia Garewal (Kalki Koechlin) on the other hand is carefree and free-spirited. They sign up for a trip to Sweden and get each other as tour partners. Jia Venkatraman ran a successful company but she was ousted from there thanks to the devious plans of Arvind Jaisingh (Sudhanshu Pandey) with whom she was romantically involved. Jia Venkatraman turns suicidal and her purpose of the Sweden trip is to end her life. Unknown to Jia Venkatraman, Jia Garewal might seem happy go lucky but even she is hiding a painful truth. What is that truth and how it changes the life of Jia Venkatraman forms the rest of the film.